We know meal prep can feel really intimidating, especially if you’ve never tackled it before. But we are here to tell you it is sooo worth it! Those busy mornings trying to rush your kids to school will feel just a bit easier without having to prepare a breakfast on top of brushing hair. Not only does it help busy mornings, but if you take a couple hours on one day to prepare meals- it saves you time throughout the week. Plus, you can get your littles in on the meal prep! We like to prep 1-2 times a week, depending on what it is. Some foods will only last 3-5 days in the fridge, so those more perishable dishes we will prep on Sunday and Wednesday. Other meals, like your core dishes, can last a bit longer. But, don’t forget everything can be frozen and used at a later date! There is no limitation on what you can prep. When you think of food prep, the first thing you think of is meals. While this is an extremely helpful part, the prep doesn’t have to end there! We have found that cutting up veggies and peeling fruits at the beginning of the week, just to have in the fridge, makes it easier for us and our kids to be more likely to eat our fruits and veggies. Sometimes, we just don’t want to have to peel an orange for each kid! Try doing it all at the beginning of the week, and storing them in air tight containers. This recipe tastes SO GOOD and is perfect for curing our sweet tooth. They are super easy to prepare, and will leave you with a little snack for the entire week. 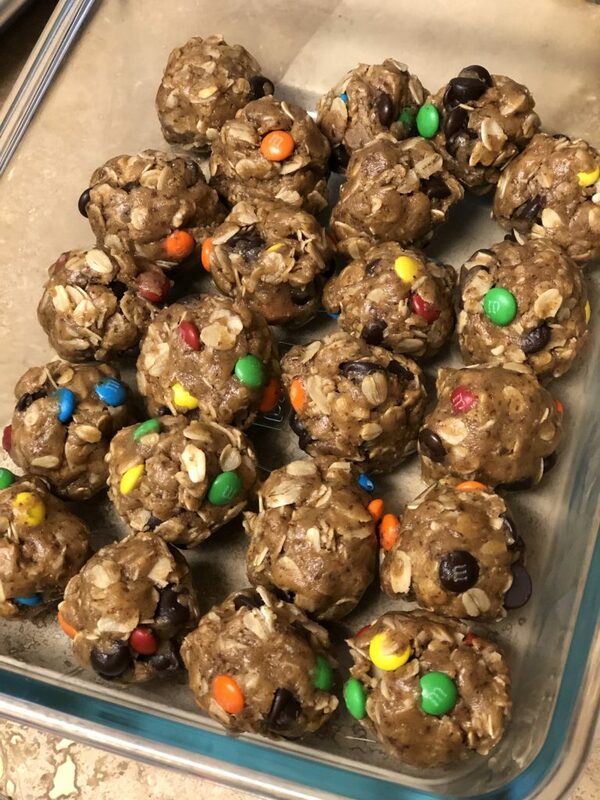 In addition, these energy bites can be adapted with adding nuts or dried fruits instead of the chocolate. If you add a lot of mix ins, you may need more honey or peanut butter. Refrigerate for 15-30 minutes then roll into balls. Keep energy bites stored in an airtight container in the fridge or freezer. Breakfast can be the hardest meal, especially when you’re on the go in the mornings. 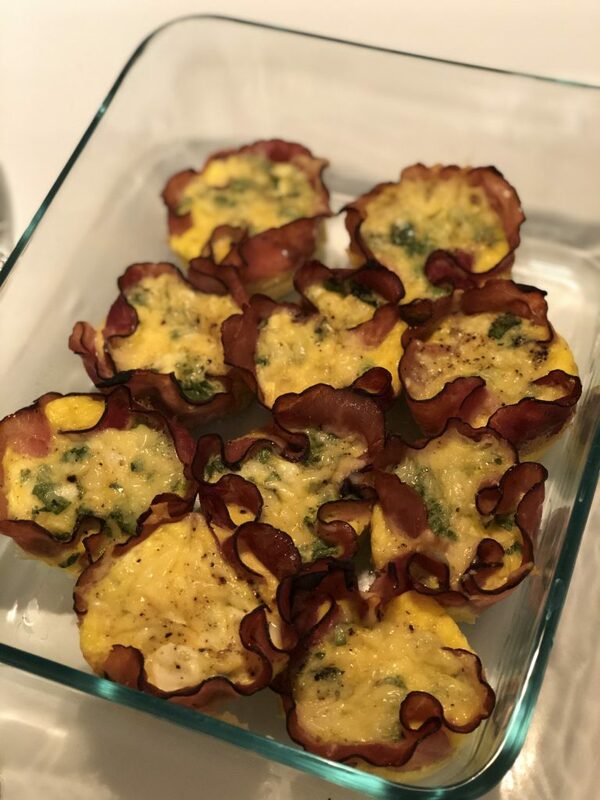 These ham and egg cups will make your mornings so much easier! Just bake a batch at the beginning of the week, and warm one or two up in the morning. Optional mix-ins: chopped spinach, chopped onions, chopped bell pepper, additional ham, chopped tomatoes, jalapenos, garlic supreme. Place individual ham slices over each muffin cup and gently press down in the middle until a cup shape forms. In the bottom of each ham cup, add in about a tablespoon of shredded cheddar cheese. In a medium bowl, whisk eggs together. Stir in sliced green onions and salt and pepper, to taste. Add a couple of tablespoons of the egg mixture into each of the ham cups. Place muffin tin in the oven and bake for about 20-25 minutes. When done, use a fork to gently remove each ham cup and serve.